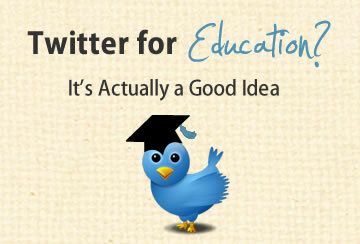 Twitter has proven itself to be a valuable tool for educators. ICYMI, read my Teaching with Twitter blog post for more information about the creative ways educators are using Twitter. Instructors have the option to customize the look of their Brightspace Course Homepages to suit their needs. 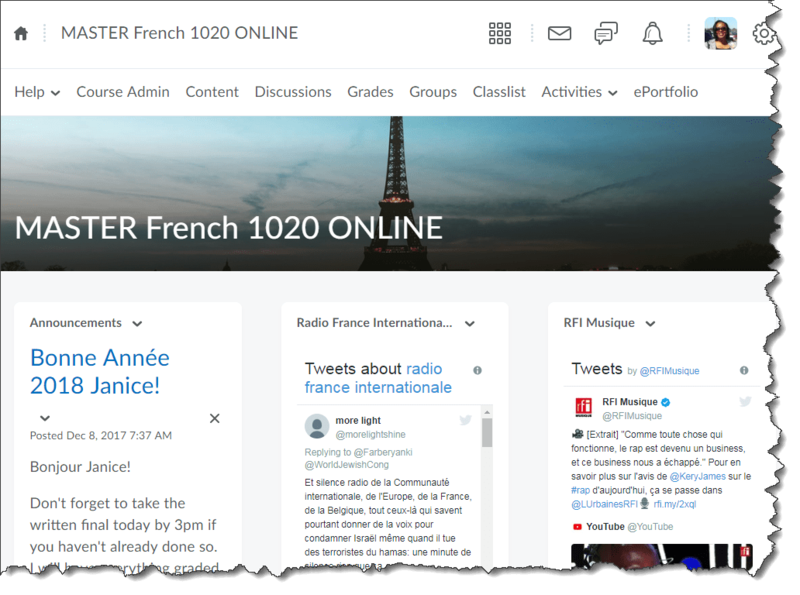 Some instructors who use Twitter in conjunction with their course find it useful to embed Twitter feeds into their Brightspace Course Homepage. Twitter recently announced a change to the way you generate an embed code for a Twitter feed. To generate a Twitter embed code you should use publish.twitter.com. Additionally, with this change you can no longer get an embed code for a Twitter hashtag timeline. A button for the Twitter hashtag is your only option. Once you generate your Twitter embed code you would place it in a custom widget and then put the custom widget on your course homepage. Educators are using Twitter in creative ways to engage students inside and outside of class, to stay on top of education news, and to expand their personal learning network (PLN). 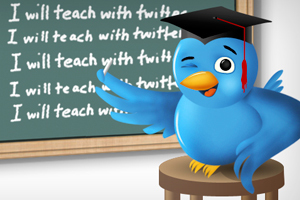 Please leave us a comment and let us know how you are using Twitter in your teaching and learning. Also, follow us (CAT+FD) on Twitter @xulacat. Twitter is an excellent tool for consuming and for learning. Twitter has proven itself to be an indispensable tool for many educators venturing into the world of education technology. Some educators are harnessing Twitter as a part of their PLN (personal learning network) to connect, share, and network. 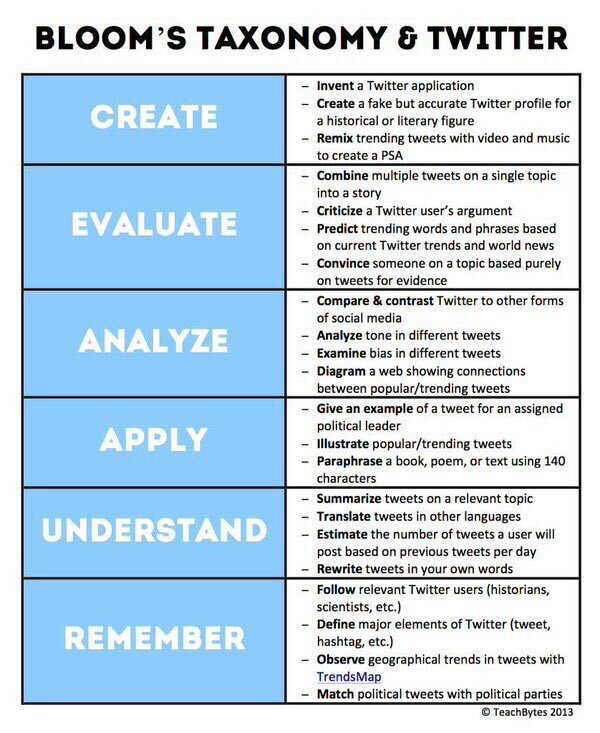 If you are interested in using Twitter, here is a Twitter Cheat Sheet for educators to get you up to speed. Also, follow us (CAT+FD) on Twitter @xulacat. So a third-grade teacher out in Colorado asked her students to write things they wish she knew about them. She posted some of the responses to Twitter with the hashtag #iwishmyteacherknew. Now people all over the world are talking about making deeper connections between teachers and students. It's become a news story, a media phenomenon in its own right. It is clear that many of Kyle Schwartz's third-graders are dealing with some heavy stuff, some big emotional issues. Is this any less true for our undergraduate students? I don't think so. In fact, I'd imagine that some of our students are dealing with burdens just as heavy, if not more so. That third-grader who wrote "I wish my teacher knew that I want to go to college" — that student is enrolled here now, figuratively speaking. How much do you know about what is going on in the lives of your students, outside the classroom? With so much content to cover, with such a full academic schedule, how can we maintain the capacity for empathic dialog? If you asked your students what they wish you knew — what might they tell you? I have to admit that I’ve been skeptical about using Twitter for students. I know all of the research is saying to make use of the social media services that they’re already using if you want to reach them and have good student participation but I've been hesitant to try Twitter. The idea of having the students tweet questions and comments to @KingArthur would probably not find favor with the Society for Creative Anachronism, but why not? I can see where the students could become fully engaged in tweeting @BenFranklin (after he’s had a few beers and would be in a happy mood of course). Setting up a Twitter account like this could have uses in several disciplines other than history. As a French instructor, I can certainly see the value in setting these up for famous writers and historical figures we were studying, and then having the students tweet en français. Remember the party game of explaining your “Last Supper” list of people with whom you’d like to share a meal once you get to heaven? Well, here’s a way to converse with your dream list via Twitter! Let’s see, I need to look for a Twitter account for @BobMarley, @CocoChanel, @ElinorofAquitaine, @LéopoldSédarSenghor and @MahatmaGandhi for starters. Who’s on your dream list? Happy Tweeting! We need a Day of HigherEd (hashtag #dayofhighered). While many of us have written posts broadly outlining what we do in a day (and how disgusted we all are by the at best misleading and at worst dishonest portrayal of our work), few of us have ever taken the time to actually record, in minutia, what we do as professors from the moment we wake up to the minute we fall asleep. All the work we do that contributes to our job as educators. The idea, then, is for academics to take the day of April 2nd to tweet and/or blog about what they do, as a way of reminding the world that yes, we do work for a living. This might best be understood in the context of David C. Levy's recent polemic in the Washington Post, which asks the question, "Do college professors work hard enough?" As for Bessette's post, it garnered only three comments, one of which derided the proposition. One might think that idea was dead in the water. There's quite a discussion on Twitter. Just check the #DayofHigherEd hashtag. Bessette affirms it's on for April 2nd. Of course, that's right in our spring break, so authentic participation from Xavier faculty is probably not realistic. Still it's something, perhaps, to keep your eye on. If you've ever wondered how to cite a tweet in an academic paper, wonder no more. The MLA has devised guidelines for just this scenario.